Elizabeth Scholder will teach a three week mixed media class at the Studios of Cocoa Beach, 165 Minuteman Causewayin downtown Cocoa Beach, on Tuesdays from 10 am to noon, February 15 and 22 and March 1,2019. Students will explore a variety of media, and styles in this fun class. Elizabeth will demonstrate a new technique inspired by art history. 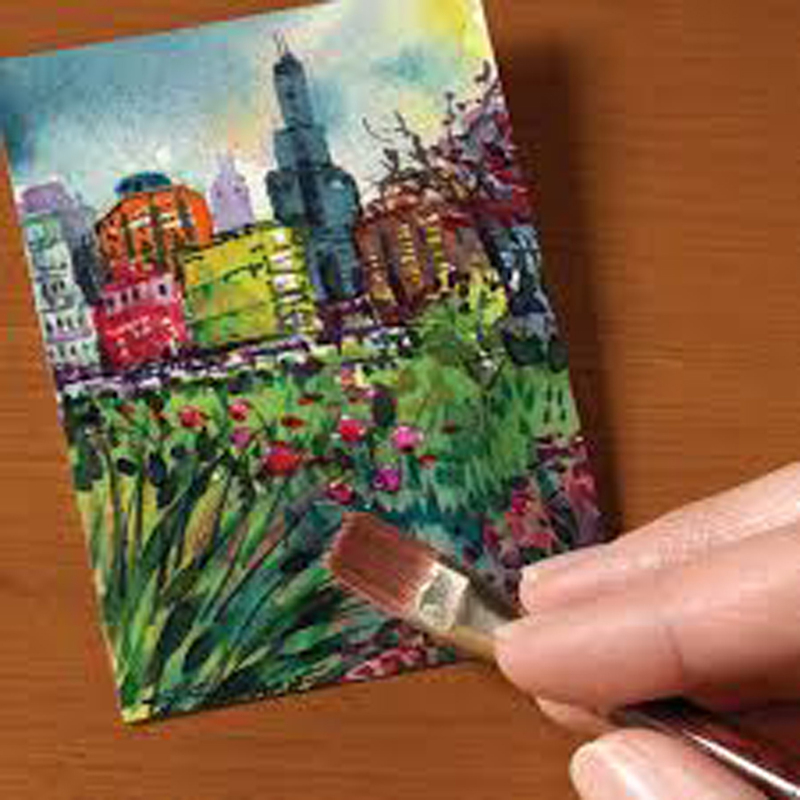 Each week you will create two art Trading Cards. Cards are 5 x 7 inches or smaller and can be used as postcards, greeting cards, traded , or saved as a mini-portfolio. All materials are provided but feel free to bring materials to try with her help.